"This week in EVE" is a weekly overview of EVE Online related news and events. The previous overview is here. Orange text links to further information. 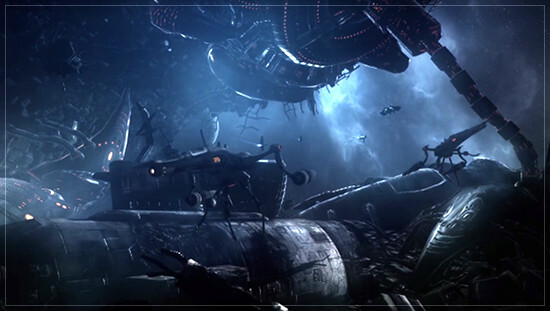 We have announced the date of the next EVE Online release: June 13. Get ready to combat dangerous Rogue Drones! The rewards are plentiful, and you may find a fortune among the wreckage. Enjoy further customization of the UI and deeper accessibility that enables support for color blind pilots. You also will get beautiful new ship designs for the Sin, Ishtar, and Vexor. Nullsec mining anomalies and Excavator drones receive a rebalancing pass. Additionally, we have a fantastic new SKIN ready for you to decorate your Machariel. And all along these additions, we also have improved the client performance! Special offers from the New Eden Store! 15% discount on single Skill Extractors. Only 119 PLEX instead of the regular 140 PLEX. 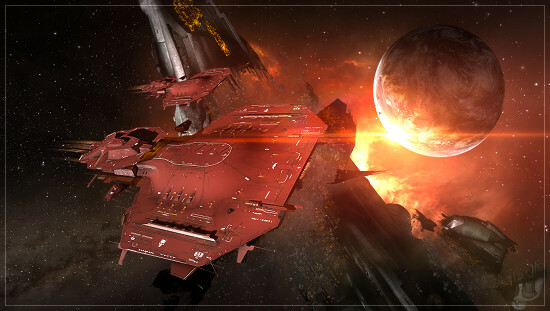 For the first time in the New Eden Store: Waschi Uprising 'Combat' SKIN for your Barghest battleship for only 390 PLEX. These offers are only available this weekend (June 2 to 5), don't miss out. 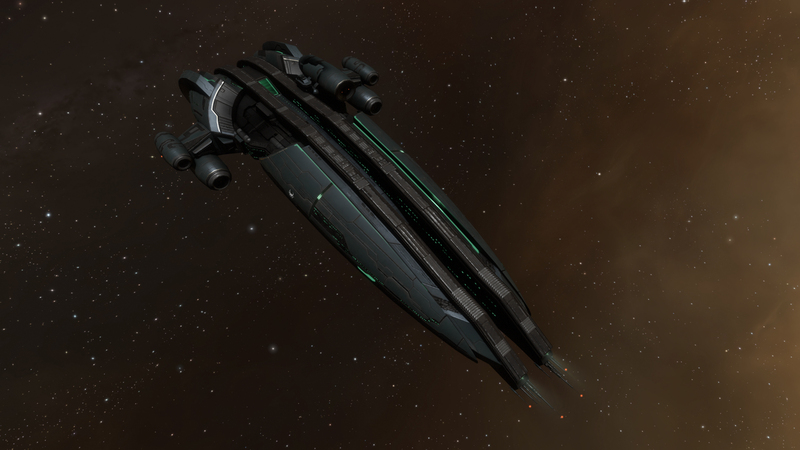 We are redesigning the CONCORD police ships in EVE Online! 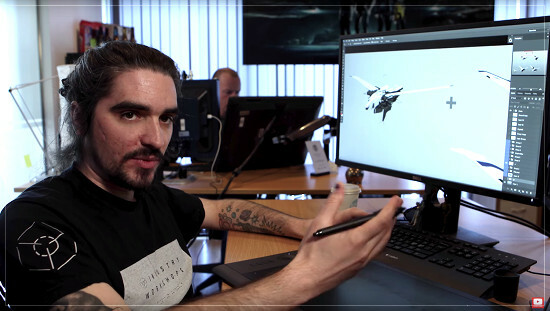 Check out the interview with CCP Acid Burn and learn more about the redesign process. Discover how the original concepts and ideas evolved, bringing the design to fruition. You can enable high DPI scaling in the EVE Launcher. The latest AMD GPU drivers (17.4.4) can cause issues with EVEOnline starting up. The Game mode on Windows 10 can cause a drop in the framerate. For EVE, you might want to turn off game mode. If the client hangs with a black screen, you might want to reinstall your graphics driver. You also might want to check out if running EVE under DX9 helps. Great information! Appreciate the work being put into the improvements updates. Thank you CCP. I do hope you will reconsider on the planned Anomaly belts and Excavator changes. Here is another shameless plug for a return to Signature Belts or Creation of actual Ore belts that wrap entirely around Celestials. great to see drone event in june to keep interest up. any more info - hisec? keep up the good work.... anyone coming to scotty land tamarraw! great to see drone event in june to keep interest up. any more info - hisec? If anyone is near, visit the Glasgow player gathering on June 3 in the UK! You won't regret it. Player gatherings are always a lot of fun. Thank you CCP. As someone whose ocular implants were permanently damaged by sub-par clone standards and procedures, this change will make me SO much happier. You'll also be pleased to know I'm now only buying clones from official CONCORD-sanctioned clone stations. "Dear Goons, through incredible investment of time, money, and effort in your space and the coordination required to defend it you have become able to utilize the Rorqual at it's theoretical limit. We did not anticipate this in the design phase, and we waited until many many players were heavily invested before we took steps to fix it. In short, you will now be punished for being very good at being a nullsec alliance. Also, these changes will apparently break the risk/reward calculus for smaller organizations, so they get punished for Goons being good at Nullsec too." On the other hand, I can absolutely see how Rorquals are gutting the minerals market in their current form. Given that mining is something people from all regions of the game engage in, that is also a huge problem. But, Fozzie and the rest of the team, here is the central problem you aren't going to fix by nerfing the Rorq into the floor: The Imperium is going to keep using the crap out of these until you reduce their yield below that of a Mackinaw. I already have four characters at max skills, and I already bought the hulls and drones. Until it's crappier than a barge the Rorq will continue to represent the best isk/hour I can earn while folding my laundry. Meanwhile you will render the hull worthless to players in alliances less able to secure their space. So I get that you are between a rock and a hard place here. Make the Rorq a doorstop again and save the minerals market. Keep the Rorq as the king of mining and watch Goons bury ever poor new player trying to mine with his Venture in highsec. However, that is assuming that the only variable that can change is Rorqual yield. I know there are lots of other project and priorities, but might it be worth taking a look at mining in a broader scope? Mining is awful as gameplay, especially in highsec. It might make more sense to remove the direct competition between null and high for lowends, and instead make something unique, valuable, and maybe a bit rare spawn there to give something worthwhile to mine. Think of it like this. Right now everyone mines the same basic ores, weather they have shovels or massive industrial equipment. So we got better industrial equipment and now the guys with shovels are getting crushed. Would it make sense to give the smaller miners occasional targets that are valuable in smaller amounts but require effort to find? That would diversify mining into two different professions, one for massive industrial harvesting through group cohesion and the other much more like a prospector roaming in search of a gold strike. That could be MUCH more interesting for a new player or alpha clone. The monthly compilations of big battles are also always worth watching. For example the major battles in May 2017.
short note: the Link to the video on youtube for "Dev interview: Redesigning the CONCORD Police Frigate" is broken. I am wondering about the new exoplanet Project Discovery. Any new info soonGäó ? 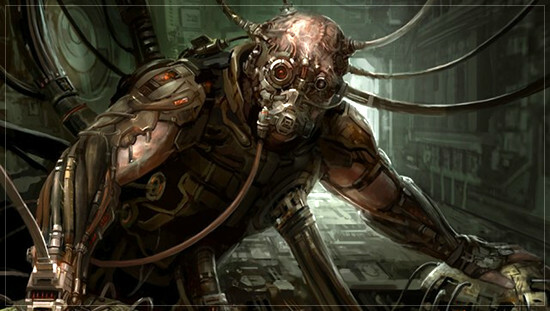 I see you used the Xenocracy chronicle artwork in this post, surely this means that PI is going to receive some much needed love and attention soon, right? Riiiiight? Will the June 13th patch contain the change that allows T2 ammo in faction weapons? The fething Barghest-skin! At last. Custom tracking position for Incarna camera still not implemented ! Advanced audio settings menu not reverted ! High GPU usage in hangars not fixed ! Aura: "You need to be within range to execute this function." The Link to the video on youtube for "Dev interview: Redesigning the CONCORD Police Frigate" is broken. Thank you for the notification! I have fixed the link now. I actually find it funny that devs/ccp replying on the positive replies but not one reply in the mining nerve post, are they too chicken to reply? I fins that CCP should listen to their community instead of making changes as they see fit, in last few patches there were mining nerves over mining nerves screwing the miners over and over. A quick question. When will we be seeing bio pages appearing on structures? At Fanfest you said it would be implemented fairly quickly. The Minmatar Republic has once again achieved Total Victory; the Seven Tribes, and all Matari people revel in blissful freedom, having to no longer fear the panicking vanquished. Tyranny has no crevasse left to slither into. Liberty has been restored to our lands.